Authorities in the Democratic Republic of Congo (DRC) cut off internet access in the run-up to elections during December 2018 — other telecommunications services such as SMS were also suspended in the country. The reason given by authorities in the DRC for the internet shut down is they wanted to curb “rumor mongering” ahead of the much-awaited elections. This is not the first time the people of the DRC have experienced an internet shutdown in relation to the elections. Earlier in January 2018, the country’s government saw it fit to block the internet, mainly in Kinshasa, in anticipation of planned protests where citizens were requesting that President Joseph Kabila vacate his position. This internet shutdown came barely a month after authorities in the DRC issued a directive to telecommunications companies to block social media during December 2017 in anticipation of anti-Kabila protests. Newly elected president of the Democratic Republic of Congo, Felix Tshisekedi, in December 2017. The internet shutdown in the DRC extended well beyond as far as 6 January 2019 when election results were yet to be released. This, as would be expected, the internet shut down in the DRC has received widespread criticism. Cloudflare’s network monitoring platform showing the internet traffic in the DRC barely reaching a quarter of its typical level. “The authorities in the DRC must immediately reopen all media outlets and reinstate all blocked communications channels. People must be allowed to freely access and exchange information including online as they wait for election results. This attack on freedom of expression and media freedom risks exacerbating an already tense and volatile situation,” said Joan Nyanyuki, Amnesty International’s Director for East Africa, the Horn and the Great Lakes. According to Cloudflare, the drop in bandwidth in the DRC started around midday on 31 December 2018, local time. Added to the internet shut down, authorities also closed several media outlets including cutting off the signal of Radio France Internationale (RFI), an independent foreign radio station which is popular in the DRC. 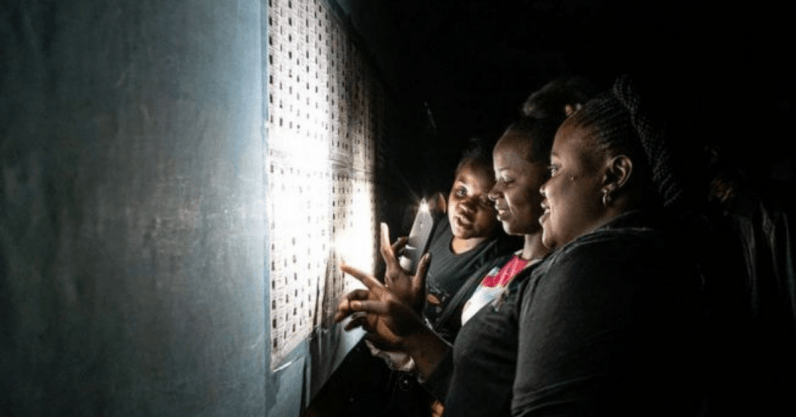 Whether in Zambia, Cameroon, Tanzania, Egypt, or Uganda, the shutting off internet access goes hand-in-hand with the stifling of free speech especially around election time. The DRC is no different as every single time the country has experienced an internet shut down it has been in relation to elections or the criticism of former President Kabila. As always, internet shutdowns on the continent highlight the important topic of who should be custodians of providing internet access to citizens; the government or private companies? As things stand in Afrika and as we’ve witnessed with every internet shutdown, private telecommunications companies have provided no resistance to directives from governments when ordered to suspend services, leaving the people with little or no options.